Lucky for 25 kids who get to go to an architecture camp this summer at the Tulare Campus of College of the Sequoias from June 15 to July 22, 2015 in the mornings. This camp is for high school aged kids who want to gain skills in drawing and drafting and also model making. The camp ends with a final project presentation too – all good stuff if there are plans for college or a job in the field of architecture. And maybe you get to see some of the biggest trees in the world while you are there – learn about scale by standing next to one. 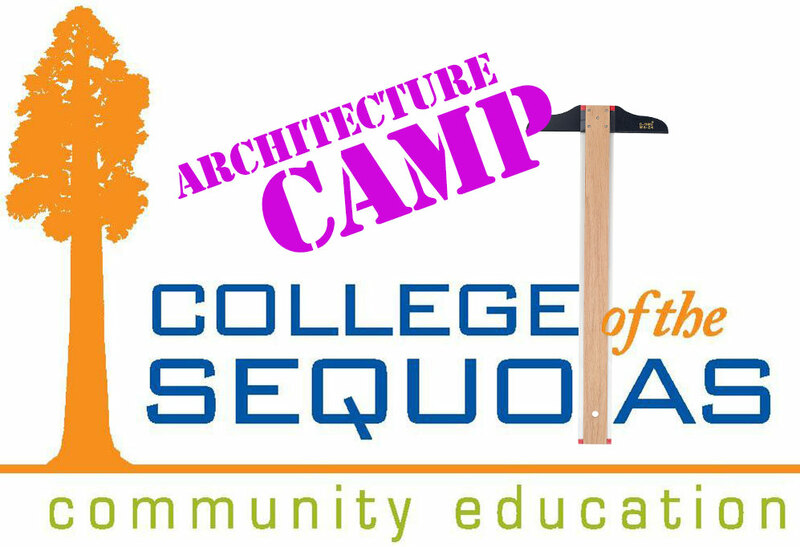 Contact Rolando Gonzalez at (599) 688-3120 or rgonzalez@cos.edu for more information.